Today I have a brand new photo tutorial for you! Would you like to know how to line any wooden or sturdy cardboard box with a professional finish like this? Then check out my new tutorial, “How to line a box with fabric”. You can use these three techniques to transform anything from shoe boxes to hand made wooden boxes like mine. 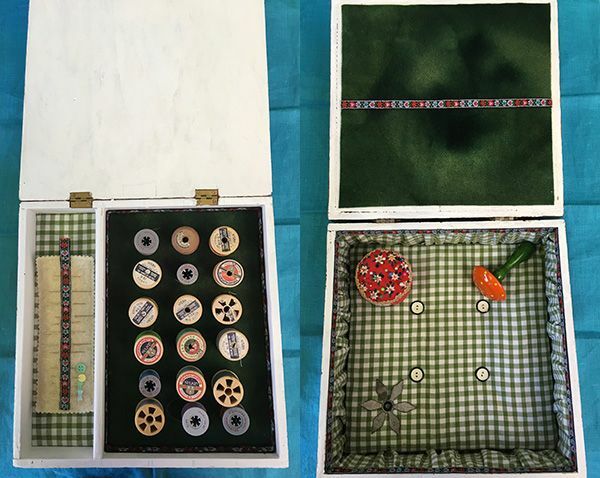 I hope you enjoy learning this new skill, and making upcycled heirloom pieces from ordinary boxes.